One day while Piccadilly is blowing bubbles she becomes frustrated as the wind pops them, one by one. But then she observes leaves taking flight in a blustery breeze. As she contemplates the power of the wind she allows her imagination to soar, wishing she too could float away and dance like the leaves sailing in the air. 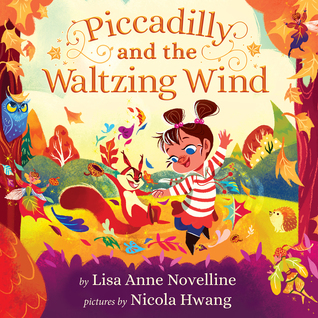 Author Lisa Anne Novelline's, Piccadilly and the Waltzing Wind is an enchanting children's picture book which will set flight to youngsters' imaginations. Vibrant and expressive illustrations by Nicola Hwang are perfectly paired with this book which is sure to become a bedtime favorite.